I really enjoyed being a part of the French country fall tour last week and I wanted to share my favorite photo from each blogger with their link. If you missed this tour be sure to click on the link below each photo to see so much more. You won't be sorry! 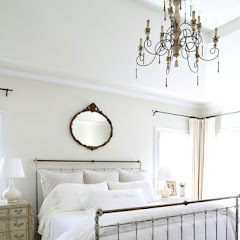 This photo by Cindy at Edith and Evelyn Vintage master bedroom makes me smile. Isn't miss RubyLou adorable? 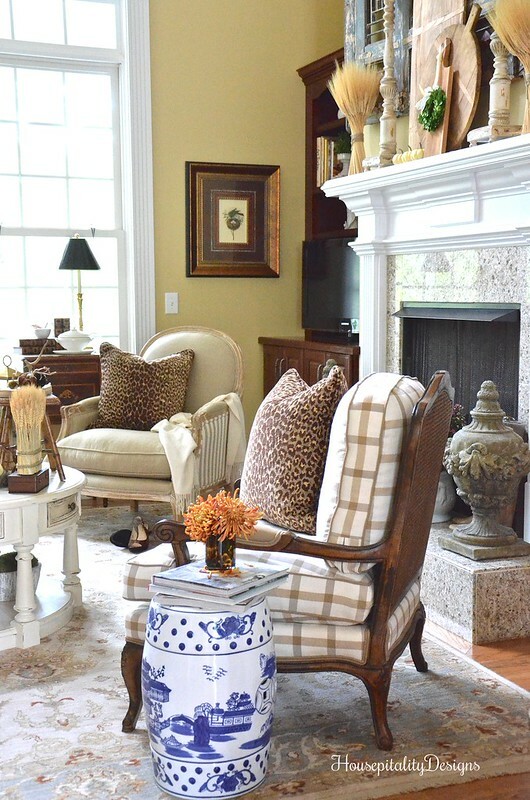 Shirley at Housepitality Designs knows how to make a large open space feel cozy. 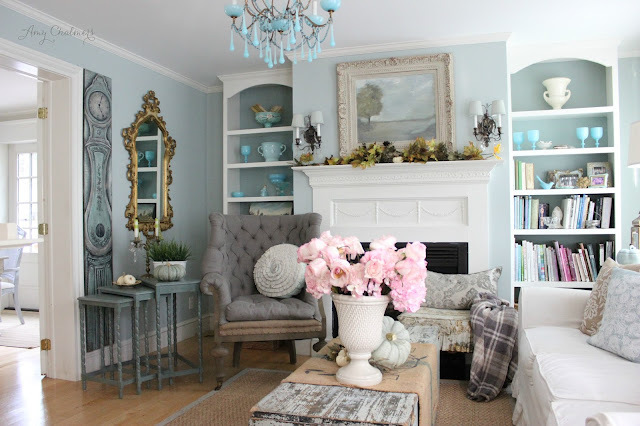 Beautiful shades of blue fill this living room by Amy at Maison Decor. Gorgeous and bright master by Janet at Shabbyfufu. 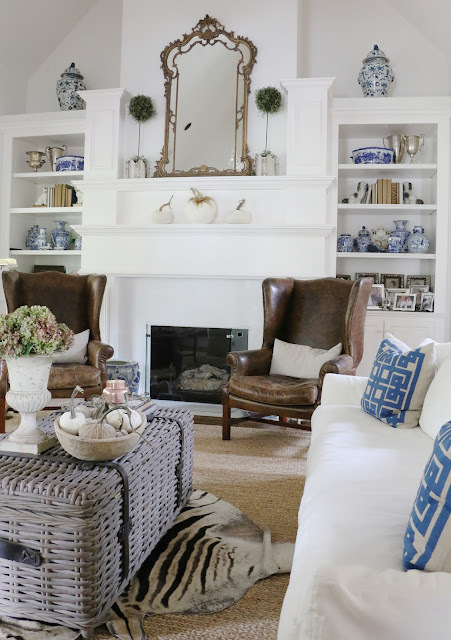 Emily at Eleven Gables has an extensive blue and white collection and showcases it beautifully throughout her home. 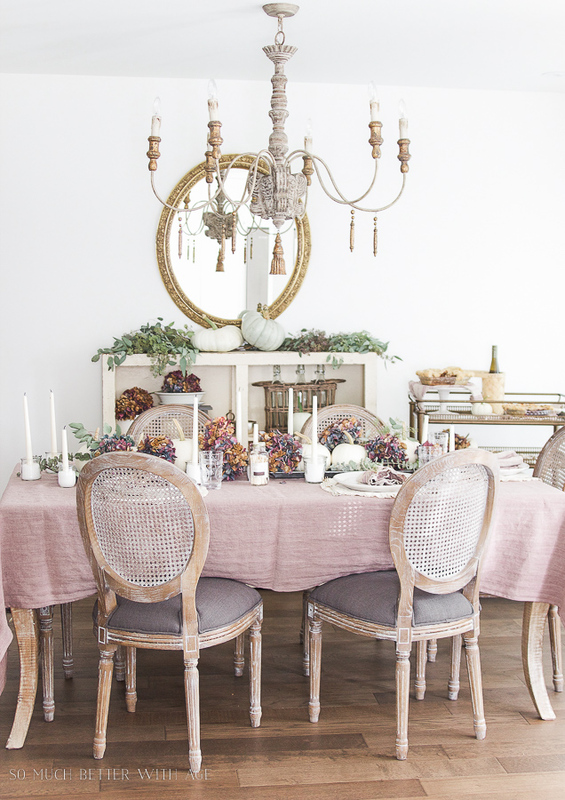 Jamie at So Much Better with Age has created this beautiful table and room with the prettiest colors that I would not have thought of. 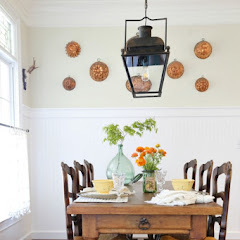 Love this cozy spot in the living room of Anita's mountain cottage at Cedar Hill Farmhouse. 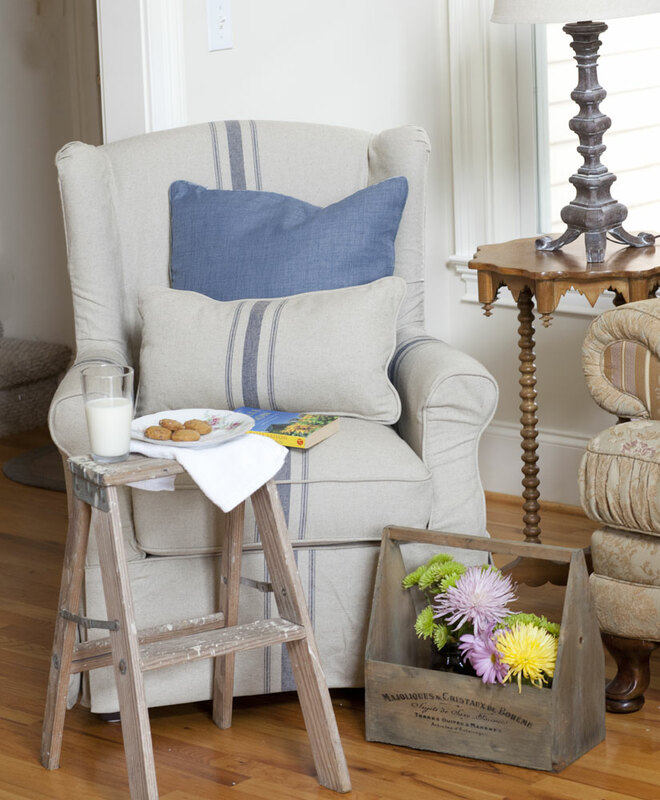 The pillow and this chair work perfectly together in Debbie's living room at Confessions of a Plate Addict. 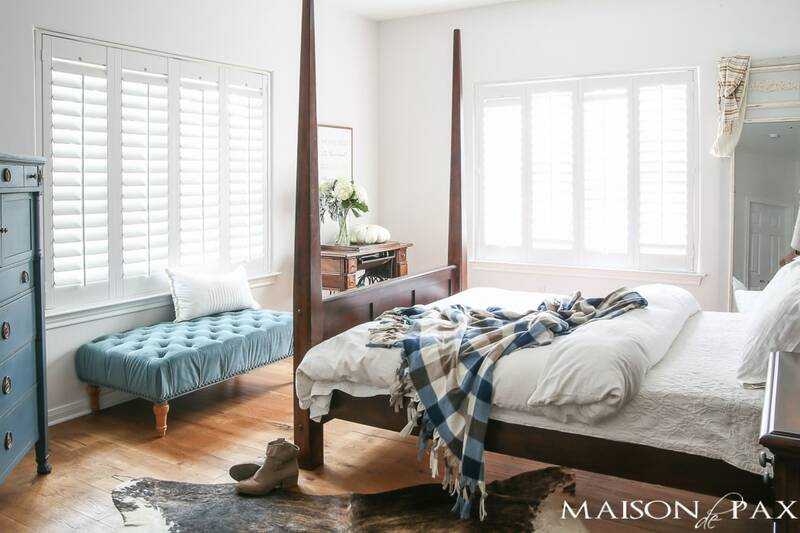 Lory at Designthusiasm has infused beautiful color into this bedroom. 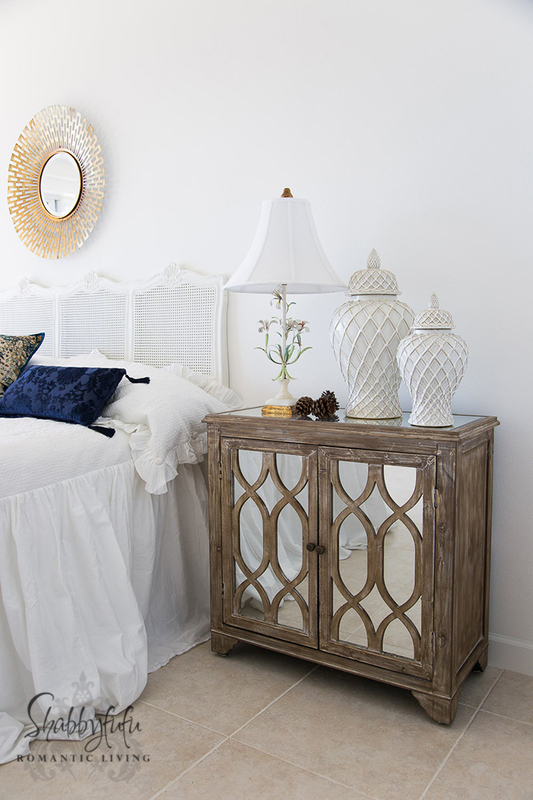 Nancy at Slightly Coastal has made her Florida home quite cozy and ready for fall. And lastly my great room. Thanks for touring with us and enjoy your day! 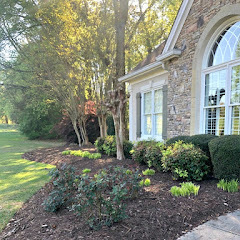 Be sure to return tomorrow as I share another fall space in a tour that begins tomorrow. Happy Sunday, Kim! How nice it is to see the tours all in one place... :-) What a pleasure it is to post with such a talented group of women. I'm honored to be included! 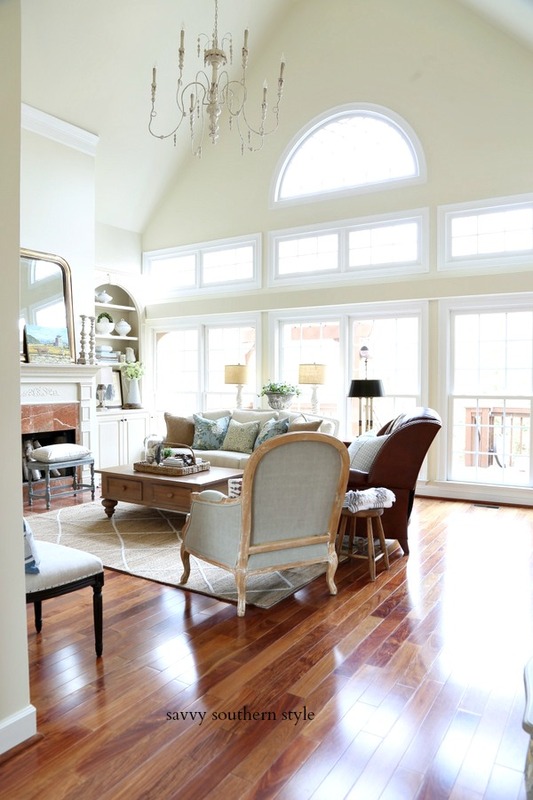 Love your great room!! What a wonderful recap! Enjoyed being a part of this wonderful group of French Country bloggers! Every room on the tour looks so beautiful. I still need to visit a few but I am just blown away by all of your talent! Happy Sunday to you! Every single one of these tours were amazing. Such stunning and gorgeous homes. Love all the fur babies too. 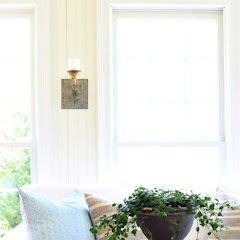 Love the light that comes into your great room Kim. Just beautiful. All the tours were wonderful. 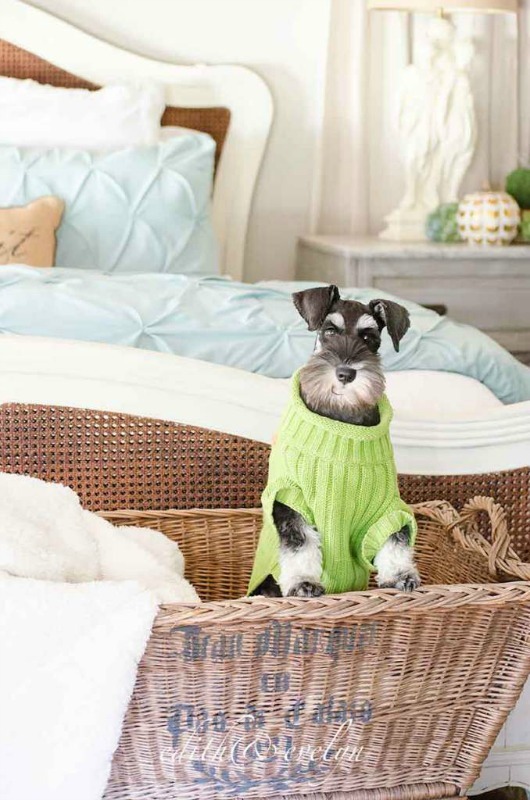 A most fantastic Round Up of the French Country Fall Home Tour!...It truly a great pleasure to be a part of this amazing tour....Each home is beyond beautiful...and I think I need to borrow my granddog for my future photo shoots...the fur babies here just made me smile!!! Great touring with you!!! Cone on, girl and bring the wine! Thanks so much for the recap, Kim! 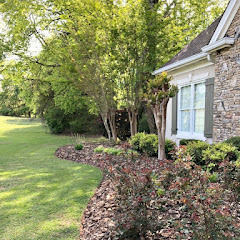 I enjoyed visiting everyone's beautiful homes! Very nice recap! So many wonderful rooms!! I was happy to be part of it all. And your chair and cow pillow with that green demijohn were extra fab!! Seeing the beds, I have a question: What do people prefer for bedding? I grew up with a top sheet, blanket, bedspread. In Europe, I see mostly duvets in covers--no sheets. It's such a quandary, especially as we prepare our rental apartments. What do people like? I think it varies here with each person. 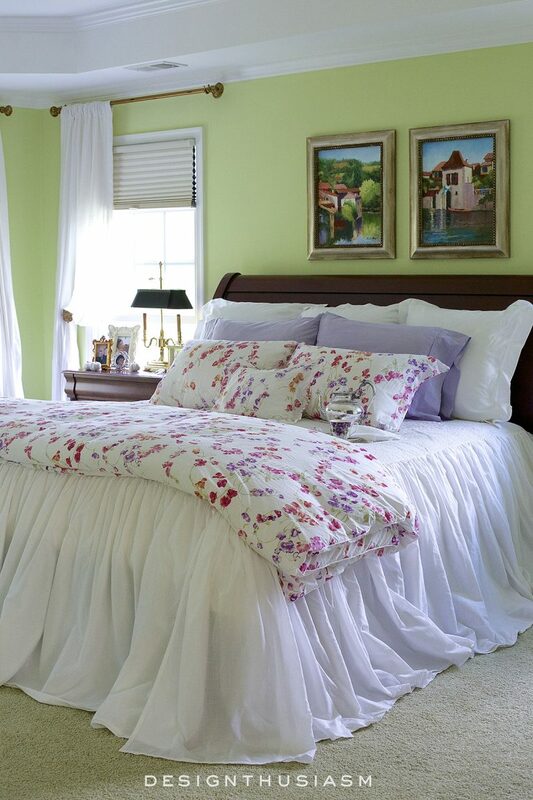 I have the sheet and a quilt and then the duvet is folded at the end of the bed and can be pulled up if we get cold. I take it off in the summer since we don't need it and just use it for looks. It was such a lovely tour Kim! I always enjoy seeing what you are doing too!